Move over Brendan Benson! Meet another one of America’s most underrated singer-songwriters. . . In about 1996, Kelley Stoltz – a pop classicist who’s been loitering near to obscurity for a few years now – moved to San Francisco. When he arrived on the West Coast, he fell in with Brendan Benson, another singer-songwriter who originally came from Detroit and who was just launching his solo career. Things didn’t initially work out for Benson, and he headed back to Michigan, where his records improved exponentially and he met a quixotic firebrand called Jack White. Soon enough, there was The Raconteurs, a masterly hybrid of gnarly garage rock and melodious, ornate ‘60s pop. If Benson had stayed put in San Francisco, and the equally talented Stoltz had never left Detroit, it’s easy to imagine the latter becoming White’s henchman in The Raconteurs. Instead, working away quietly and assiduously, Stoltz seems to have reached more or less the same place by himself. Circular Sounds is his fourth album, and brightly refines the skills that Stoltz displayed on Antique Glow (2004) and Below The Branches (2006). The influence of Echo & The Bunnymen, memorialised on Crock O’Dials, Stoltz’s lo-fi reconstruction of Crocodiles from 2005, is not so apparent. Like Benson, White and Elliott Smith (especially circa XO and Figure 8), Stoltz is one of those American musicians who can translate an encyclopaedic knowledge of rock into something fresh and invigorating. Like them, too, he’s partial to The Beatles and The Kinks as well as arcana – though not to the attitudinal showboating that seems to be adopted by most British disciples of those bands. As a consequence, Circular Sounds is a collection of snappy, mildly psychedelic, instantly memorable songs, delivered with an unfussy and becoming modesty. That’s not to say they’re unambitious: from the brassy opening of “Everything Begins”, through the crunchy “Pump It Up” cousin, “Birmingham Eccentric”, to the layered chamber groove of “Reflection”, Stoltz has a great knack of making a sound that’s both expansive and homely. It’s the unforced, artisanal charm with which he churns out this stuff that really impresses. Right now, the intricate chimes of “When You Forget” – a lovely ringer for The Kinks circa 1970 – is a personal favourite. But there’s so much to enjoy here, it seems churlish to be picky. When The Raconteurs return in the spring, even they might struggle to match these miniature classics. 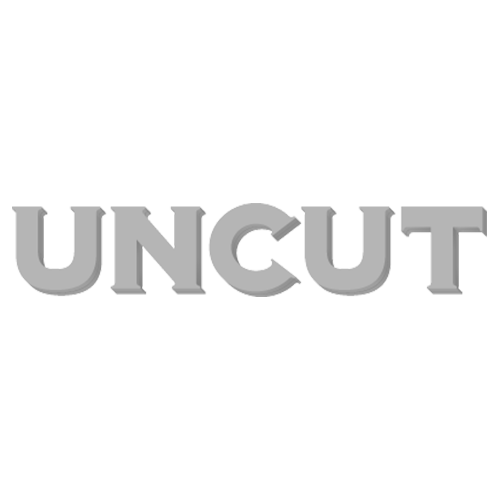 UNCUT: Compared to 2006’s Below The Branches, the songs here feel shorter, poppier and more commercial. Was that a conscious decision? KELLEY STOLTZ: I don’t think it was a conscious decision – it’s just an evolution in songwriting… you learn that you don’t need five minutes to tell your story all the time. Well, I definitely made a decision to make songs shorter – and that was due to the fact that reel-to-reel analogue tapes, which I record on, were getting much, much scarcer for a while. Nobody was making them. So I might have made a subconscious decision to say ‘let’s make two-and-a-half, three minute songs instead of six minute songs because then I don’t have go buy so much tape’. ’Cos I had such a hard time finding the stuff!